The Elephant Walk South End is a very well know restaurant in the South End of Boston that specializes in Cambodian & French cuisine. With their award winning-winning wine list and new location, you're sure to have a pleasant meal for brunch, lunch or dinner. GoingClear Interactive was responsible for the web strategy, UX (user experience), discovery, web design, web development, quality assurance and testing of the new The new Elephant Walk South End Restaurant website. The client had recently been sharing a website with the Elephant Walk Cambridge, and decided that they needed their own website. 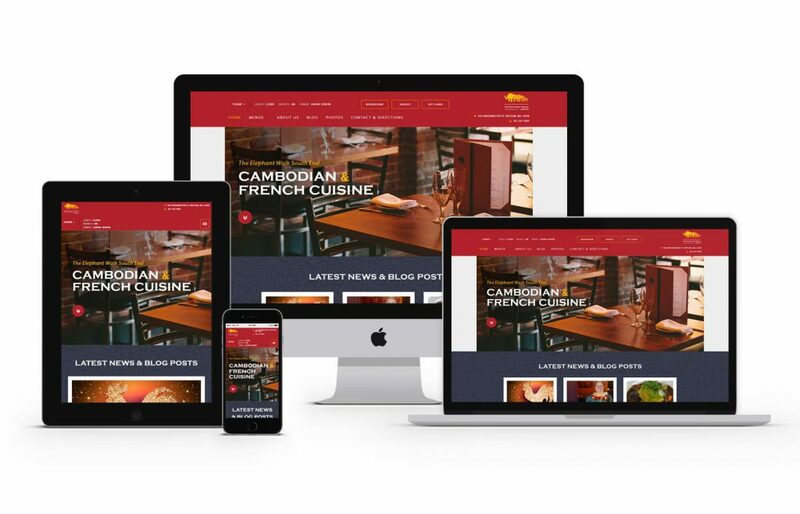 GoingClear focused on creating a whole new look with emphasis on clean typography and bright colors to accentuate the Cambodian and French heart of the restaurant. The site features some really nice digital menus, and each section of the site is customized on the backend so the owners can easily updates on their own. We also added in a cool upgrade to the header that automatically shows visitors what time each meal is being served at that day. Plus they can 1 click or tap to change to any other day of the week if they are planning ahead. 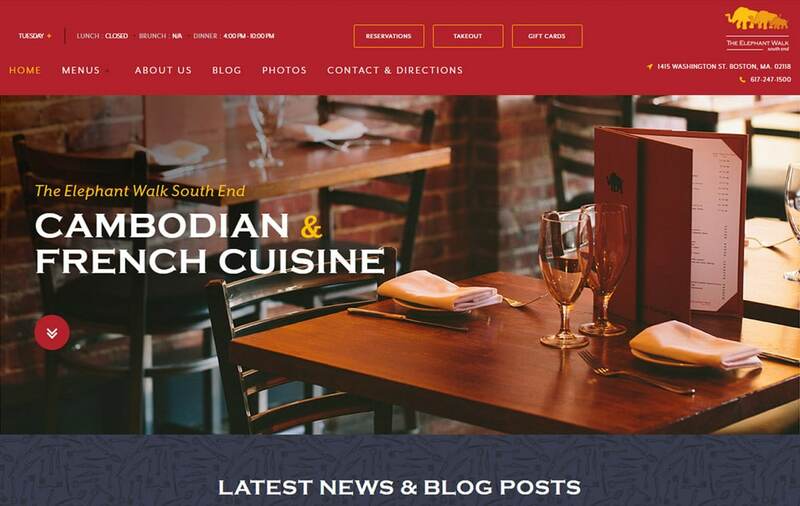 The new Elephant Walk South End Restaurant website was built using WordPress as the CMS (Content Management System) along with a fully mobile and tablet friendly design leveraging Twitter Bootstrap for the responsive framework so visitors are certain to have a flawless experience on any of their devices.